This just in from Peak Resorts New Hampshire operations, Attitash and Wildcat: We are forever in debt to the brave men and women who serve and have served this country in the armed forces. As a special thank you, Attitash (and Wildcat) host all active, veteran, and retired military personnel for free skiing and riding on January 27 and 28 as part of Military Salute Weekend. Families of service members are also invited to ski at a discount! All we need to see is proper identification. Please help us spread the word far and wide. In addition to lift ticket specials, we also host a variety of events to show our support, including a flag parade down Spillway and a singing of the National Anthem by Jennifer Teft. On Sunday, it’s the 7thAnnual Battle of the Branches! Sign up to race for the military branch you’d like to represent and give it your best shot. Kudos to Peak — and BTW, in addition to this, far as I can tell virtually all Peak properties offer a Military discount every day of the week, 40% off on weekdays, 25% weekends and holidays. We’re talking Hunter NY, Mount Snow VT, Jack Frost PA, Hidden Valley MO, etc. Plus in Missouri, active military skis for just $15 lift tix and $15 rentals, Now that’s cool. At Paoli Peaks IN, the deal is $10 off per ticket, which means the top ticket price for active military is just $32. 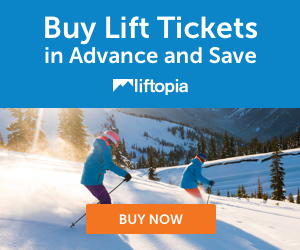 I don’t often shill for lift deals, but when this annual thing comes up at Attitash, it’s worth mentioning. And thanks to all of our service men and women, active and retired — you are appreciated!